The god Mercury was, in the Roman Antiquity, the winged messenger of Olympian gods. Wearing winged shoes and even a winged hat, Mercury was also the patron god of travellers, boundaries, of commerce and thieves. 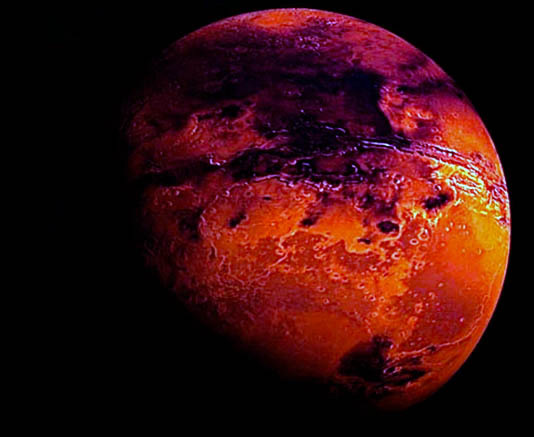 In astrology, this planet influences intellect and communication. On the other hand, Aquarius is ruled by Uranus, planet of rebellion and surprises, promoting unconventional ways of thinking and acting. 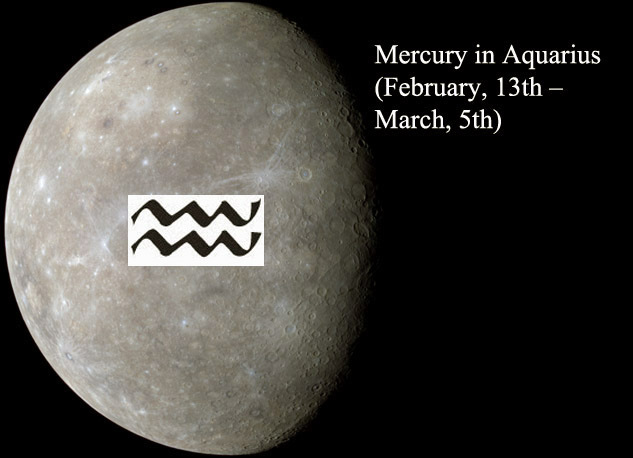 Between February, 13th and March, 5th, 2016, Mercury transits Aquarius. For a short time (only 6 days, between January, 2nd and January, 8th), Mercury transited Aquarius at the beginning of 2016. 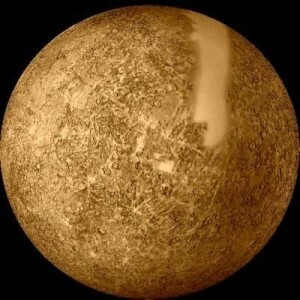 But, starting January, 5th, Mercury turned retrograde, and his influence changed, as you could see HERE. Aries: You need to be accepted into new groups of friends or any other social group. You successfully find new ways to meet new people and make new friends. Taurus: When was the last time you changed your hairstyle? What about your fashion style? During Mercury’s transit through Aquarius, is a good idea to get a new look. Gemini: Now is a good time for foreign travel. Meeting people who are different to you will help you to broaden your horizons and to promote tolerance and diversity. And we already know that, for a Gemini, diversity is like water for a fish – his natural environment. Cancer: You gain the ability to use other’s capital to make money. You should try your luck in business. Leo: It is the proper time to break bad relationship habits. Maybe you are to melodramatic, maybe you are not being totally honest with your partner, maybe you take him or her for granted or maybe you argue in public. Now, you decide to improve relational skills. Virgo: You develop your analytical and critical thinking. During this transit, it will be easier for you to change bad health habits. Libra: Finding new pleasures is important for you, when Mercury transits your fifth house: recreational activities, romantic games to play with your partner (let’s not forget about Valentine’s Day!) or guilty pleasures. 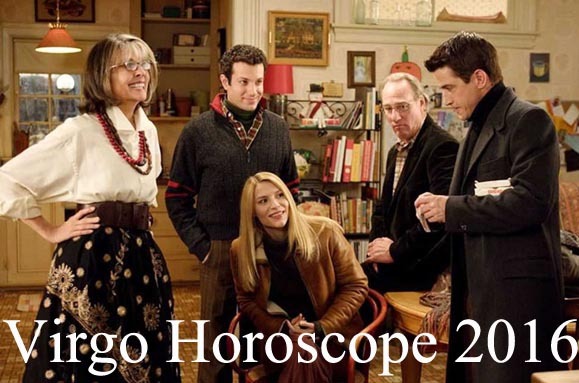 Scorpio: You find ways to spend more time with your family. You develop positive relationships with your parents, brothers, sisters and children. Sagittarius: You learn new things, you adapt easily to changes. You love traveling and visiting new places. Capricorn: Communication related activities bring you money, during this period of time. It is a good period to sell or buy things and properties. Aquarius: Having Mercury in your sun sign, you develop your communication skills. Your originality is highly appreciated and you feel good about yourself. Pisces: You know how to get people to tell you their secrets. You find out intimate details about family members, friends, co-workers and about almost everyone you know. 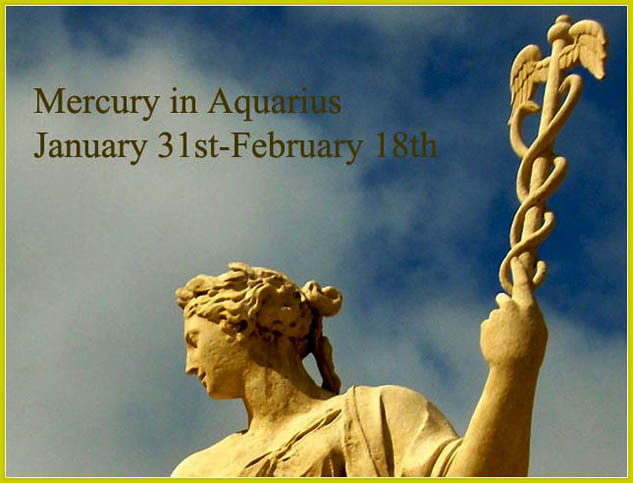 Share the post "Mercury in Aquarius (February, 13th – March, 5th): Breaking the Rules"